Looking for a Grand and spacious family home - look no further! 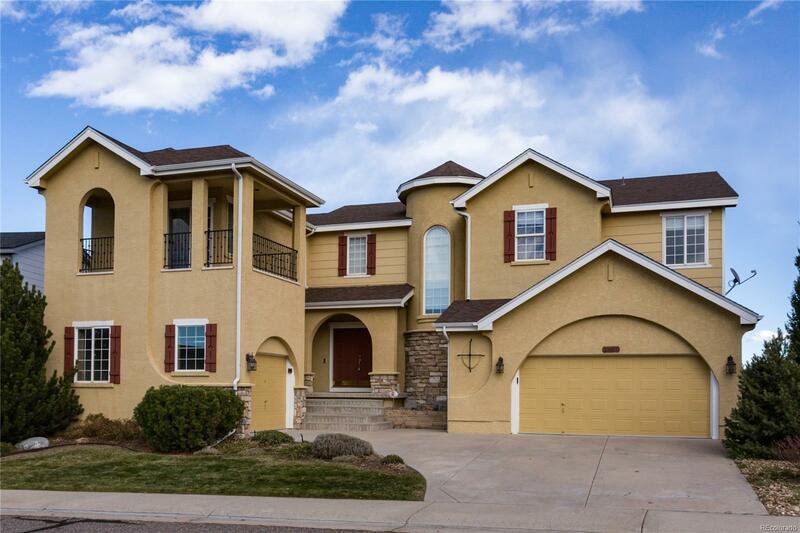 Over 5500 finished sqft, rare 4 car garage, two story with a walk-out basement. This home has been meticulously maintained by the original owners! Main floor features an inviting entry with 20 foot vaulted ceilings, open kitchen - (with island, work station, pantry and breakfast nook), family room, living room, dining room, full bath, laundry room, study and a split 2 way stair case leading to the upstairs. Upper level has 4 bedrooms and a game rm that could be a 5th bedroom with access to the upper level covered balcony and a small desk work station off the master bedroom. Huge 30x15 Master bedroom with a sitting area, 5 pc bath and a spacious 2 way walk-in closet. Full finished walkout basement with bedroom, full bathroom, rec room/family room with rough-in plumbing for a wet bar. The outdoor space features a wonderful 15x30 wood deck w/great access to the mature back yard. Interior freshly painted! Move-in ready.